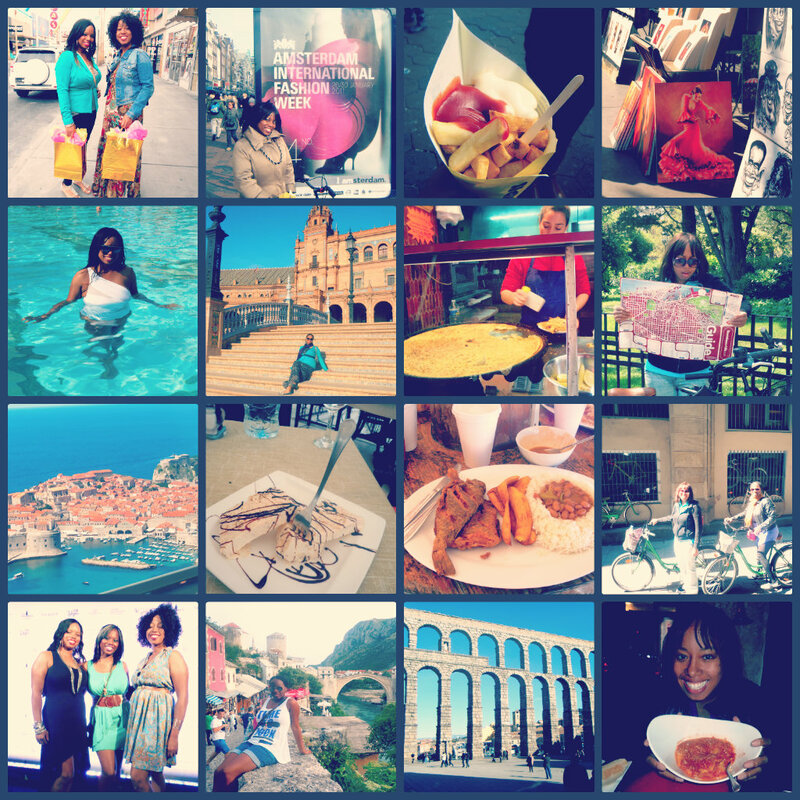 Here’s a collage of some of our favorite trips! Pictured are snaps of us in Las Vegas (Nevada), Amsterdam (Netherlands), Barcelona (Spain), Seville (Spain), Nice (France), Dubrovnik (Croatia), Split (Croatia), Punta Cana (Dominican Republic), Mostar (Bosnia Herzegovina) and Segovia (Spain). Food, fashion and fun. Sums us up pretty well!